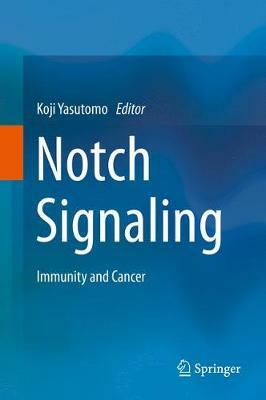 This book covers the broad area related to Notch-mediated regulation of the immune system and tumorigenesis. Notch signaling was originally identified as a crucial pathway to regulate cell fate choice. Subsequent studies, however, have revealed that Notch regulates many steps of immune cell differentiation or development as well as tumorigenesis of cells. Although there are still many controversial issues regarding the functions or regulatory mechanism of Notch, it is important to summarize all data together in one volume to help facilitate this research area. Also, the studies regarding the functions of Notch in immune cells and tumor cells have motivated researchers and pharmaceutical companies to develop drugs for treating immune-mediated diseases and tumors. Therefore, this book covering the broad area of Notch in immunology and tumorigenesis will be attractive to many researchers including faculty members and postdoctoral fellows in academia and researchers in the pharmaceutical industry.